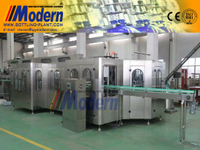 - Buy Water Bottling Line from Zhangjiagang Modern Machinery Co., Ltd.
Modern brand washing-filling-capping 3-in-1 machine is a set of equipment with high precision and speed to fill liquid. 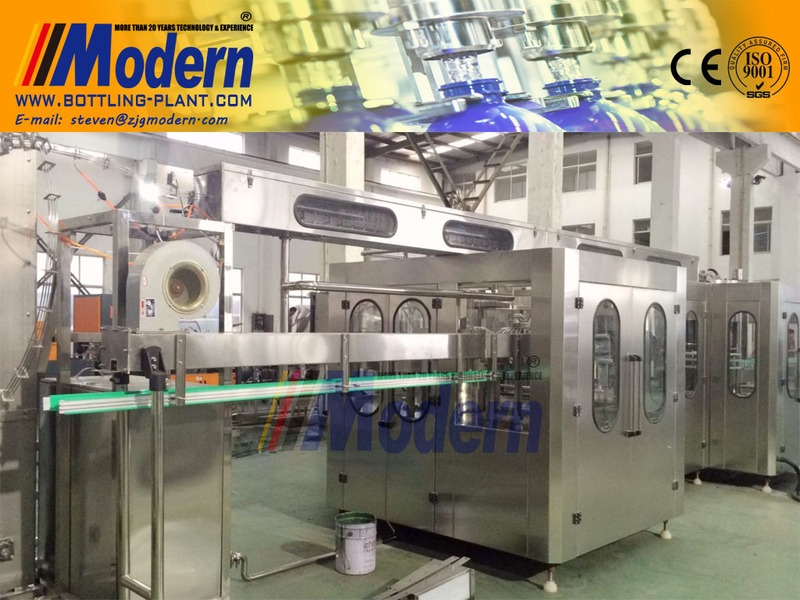 This Water Bottling Line adopts bottle-neck block technology, not only avoiding second pollution to the bottle-neck, but also realizing filling different specs of bottles in one equipment, which greatly improved commonality of this equipment in water bottling plant. 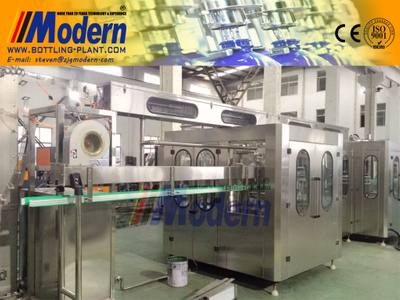 Production capacity of this small water bottling machine is 1000 bottles to 30000 bottles per hour. 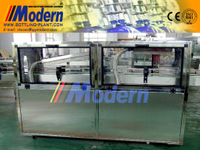 Main-frame machine adopts frequency controlling electric motor, which is much convenient to adjust speed in scope of production capacity. 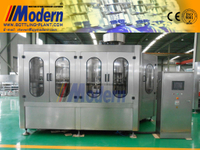 ZJG Modern are a trustworthy business in the market who are engaged in offering wide range of water bottling line. 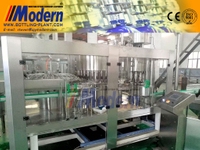 The exclusive range of water bottling plant is finely known for their operational fluency, low maintenance and friendly to install among others. 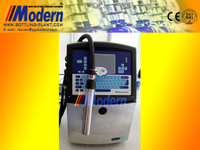 All are designed and fabricated under the strict watchfulness of experts making use of optimum quality raw material, collected from trusted manufactures of the industry. 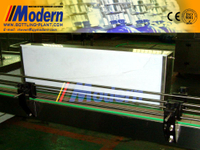 The prime features associated with water bottling plant are robust construction, low maintenance cost and simple to clean properties, these industrial RO systems are largely approved in the market. 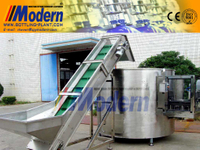 Modern brand washing-filling-capping 3-in-1 machine can be purchased to obtain great benefits.